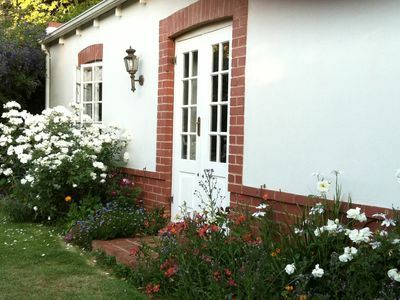 Rose Cottage is a family cottage, and part of Remote Corner bed and breakfast . 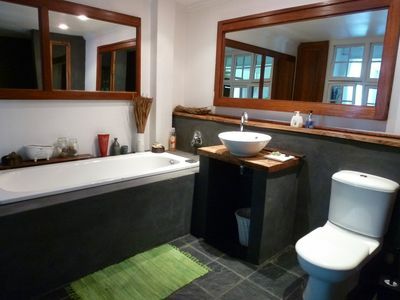 Remote Corner is a small family owned and run establishment in the lovely old worlde suburb of Parkview, Johannesburg. 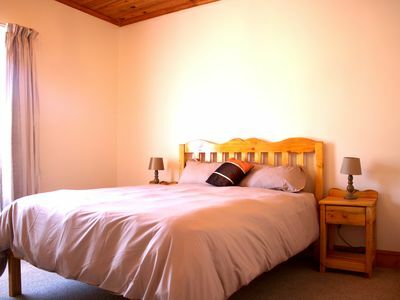 Rose Cottage comprises of a bedroom with a queen bed, and then an open plan living room with a sitting area with couches, a work area with a good sized desk, as well as 2 single beds. 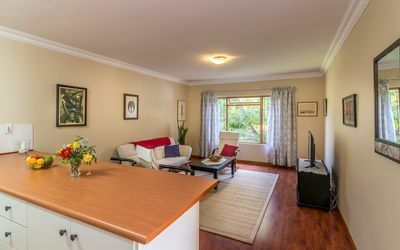 Furthermore it has a kitchenette and dining table. 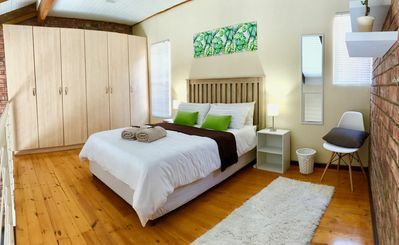 The pristine white bathroom is off the bedroom and has a shower basin and toilet. 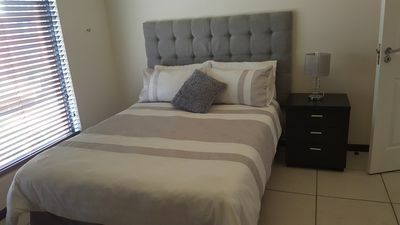 The kitchenette is equipped with a medium fridge, a sink, hot plate with mini oven, microwave, kettle, electric frying pan, toaster and crockery and cutlery etc. 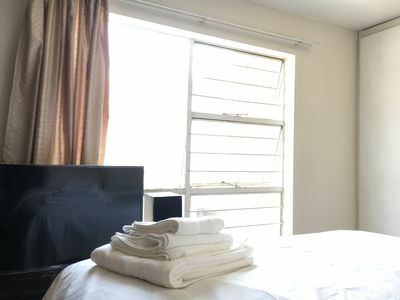 There is a television with DSTV Hotel bouquet and free fast Wi-Fi. 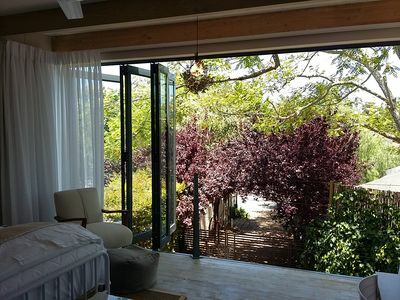 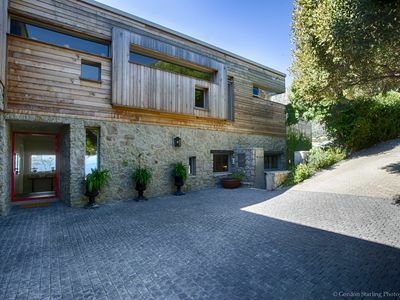 The French doors open onto a communal garden. 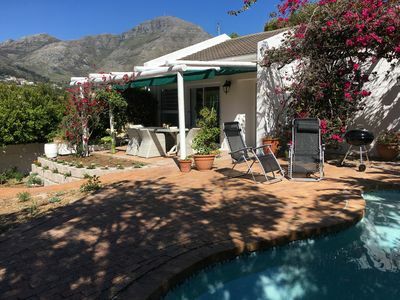 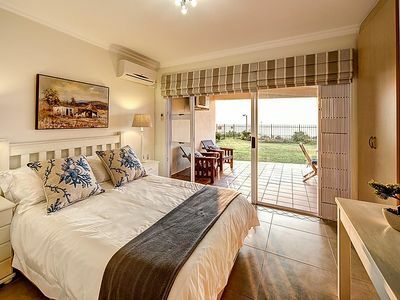 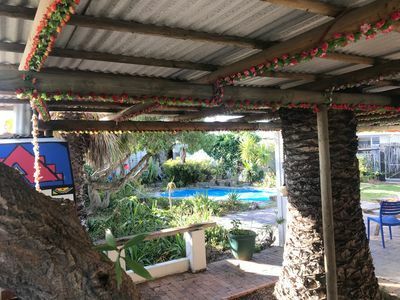 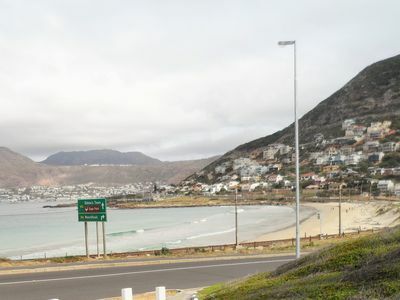 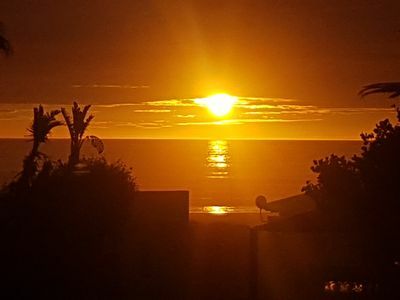 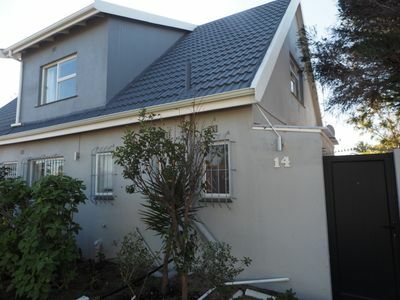 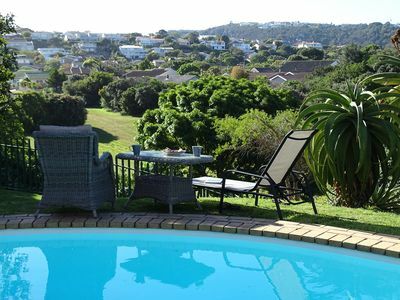 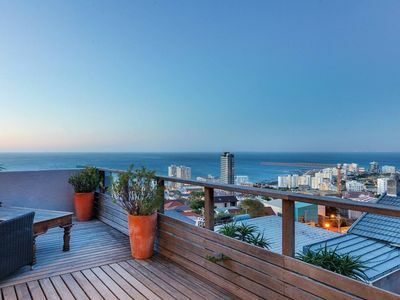 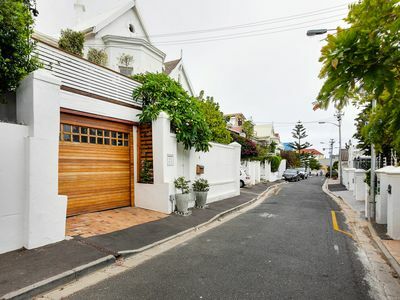 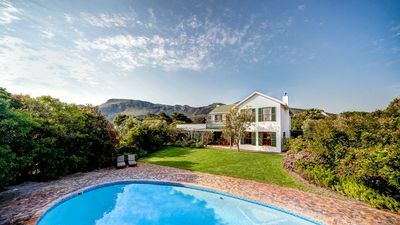 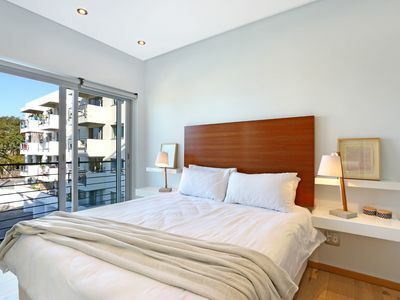 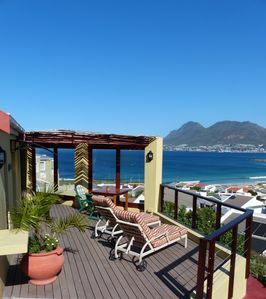 In Table View , 5 Min From Bloubergstrand Beach Lies Our "Studio Near The Beach"
Family-friendly, sunny holiday home with pool and splendid views.